I know people will say it’s early, but Christmas is quickly approaching. Yes I understand Christmas is different for everyone. I call it Christmas because that is what my family called it growing up. I consider it Christmas time from the day after thanksgiving until December 26. I know the term Christmas does not mean that for everyone. I don’t have another term to call it. It is Christmas to me. When my parents were married, and started having children, they quickly realized they couldn’t agree on what religion to raise their children. My mom was Christian and my father was Catholic. 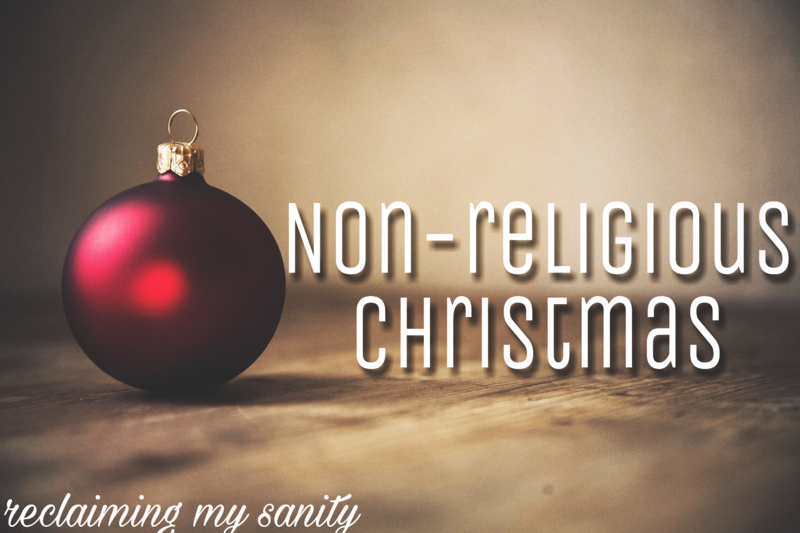 My memories show me that we were raised without being taught religious things, Christmas included. Nobody emphasized on Jesus during the month of December. I actually didn’t even know it was a religious holiday until middle school. Christmas, to me before that point, was about Santa. I can’t forget to mention the Christmas lights! Everything about Christmas was magical. It wasn’t until I was 15 years old that I started seeing Christmas differently. It became more of a meaningful time for me, but not for religious reasons. It was a time of our family coming together, the whole family. As a child of divorce this meant having 3, sometimes 4, places to go. It was seeing my extended family; aunts, uncles, cousins, and grandparents that we didn’t see all the time. Now that I am married and have my own family, I have to choose how I would like my children to view Christmas. Do I want them seeing it as a magical thing? Do I teach them about Jesus and other religious beliefs about why people celebrate Christmas, even though that isn’t my reason? Yes to all of it! Christmas is still magical to me, I want it to be magical to them. I want them to understand that while I don’t celebrate the holiday for the same reason as other people do, that those beliefs are out there. I want them to form their own beliefs and opinions without pressure. The pressure is what makes me unable to commit to religion. Right now, I am sure Pickle’s only thought about Christmas is the presents he gets. Yes, he has been absolutely spoiled every year. I dont think that will stop for many years. Now he is 4 and asking so many questions. He is understanding more about the world we live in. This year, I am taking advantage of that. I fully intend on making Christmas a time about giving back to the community and making it magical for someone else. I think we are going to try something new this year with service projects. Instead of buying gifts for people who don’t truly need them, we will give to those who are in need. I have many ideas right now, I just need to make a plan. I want my children to feel that while it is nice and we appreciate everything we are given, it is always better to give than to receive. Stay tuned in the next couple of months for the ideas I come up with.